Caption slip reads: "Photographer: Miller. Reporter: Bernstein. Assignment: Power lines down. 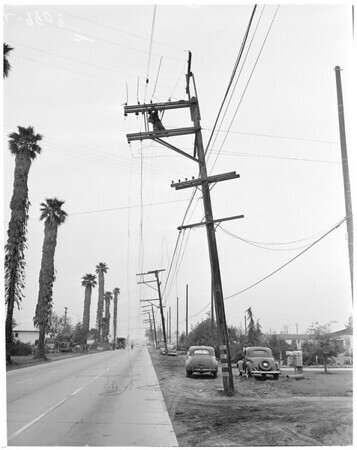 31-32-29-30: Power lines down -- 12000 block on S. Paramount Ave., Downey."